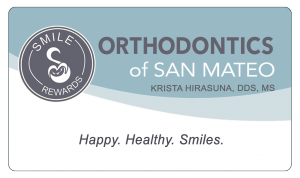 You’re working hard to get your best smile and we want to reward you for being such an awesome patient! 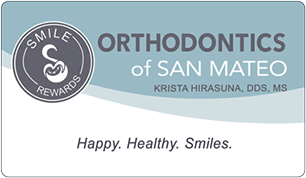 As a member of Smile Rewards you can earn tons of Smile Points for doing really easy things like showing up for your appointment on time and by having great oral hygiene. We will create an account for you at your next appointment. So, what will you redeem your Smile Points for today? Browse through the Rewards Catalog online and redeem your points when you see something you like. With hundreds of items to choose from there is something for everyone. Click on the card to log in now!